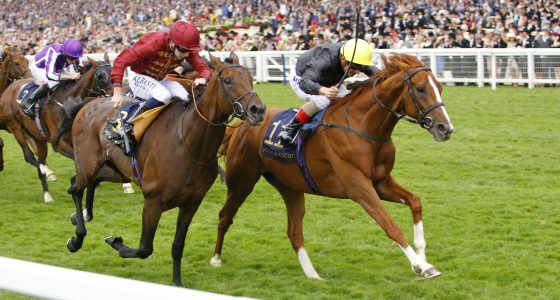 The St Leger is the final Classic of the British Flat season, the longest in distance and the oldest in years. Open to three-year-old colts and fillies and staged in September at Doncaster over 1 mile 6 furlongs and 132 yards (2,920 metres), the race began life in 1776. The event was thought up by Anthony St. Leger, an army officer and politician living near Doncaster. It was originally run over two miles, with colts carrying 8st, and fillies 7st 12lb. 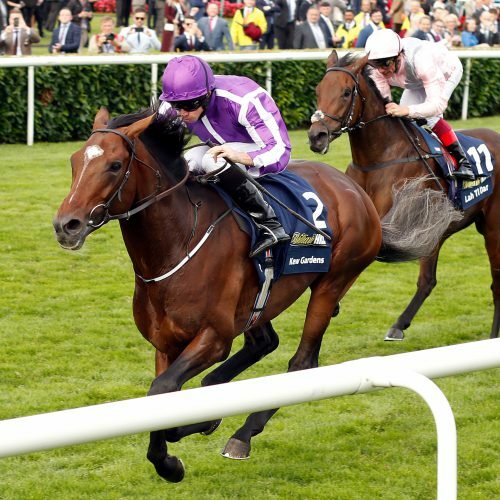 The St Leger is the final leg of the English Triple Crown, following the QIPCO 2000 Guineas and the Investec Derby. It also completes the Fillies’ Triple Crown, which begins with the QIPCO 1000 Guineas and the Investec Oaks. 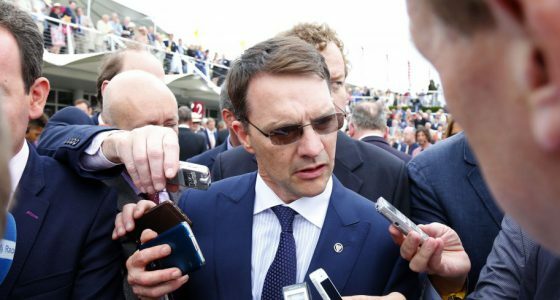 Camelot was the most recent horse to head to Doncaster following victories in the Newmarket and Epsom Classics in 2012 but the Aidan O’Brien-trained colt could only finish second to Encke, who provided Godolphin with a sixth success in the race. O’Brien gained some consolation a year later when he won the race for the fourth time courtesy of Leading Light. One of the best recent winners was Conduit in 2007, for trainer Sir Michael Stoute (his first St Leger victory, completing his full house of English classic races). In his next start Conduit was triumphant in the Breeders’ Cup Turf in the USA and the following year he won that race again, preceded by a famous victory in the King George VI and Queen Elizabeth Stakes at Ascot. Kew Gardens oozed class and stamina as he gave Aidan O’Brien a sixth victory in the William Hill St Leger at Doncaster. The colt had advertised his claims with wins in the the Queen’s Vase and a Group One in France earlier in the year and fended off the late challenge of favourite Lah Ti Dar. They were lining up in behind with half a mile still to run – where inexperience seemed to tell on the market leader – and Moore was eager to push on, assuming control at the two-furlong point. Lah Ti Dar eventually did hit her stride for Frankie Dettori, but Kew Gardens had already flown, securing his second the spoils by two and a quarter lengths. Fellow O’Brien inmate Southern France kept on for third, a further four and a half lengths adrift. “We couldn’t be happier with him. 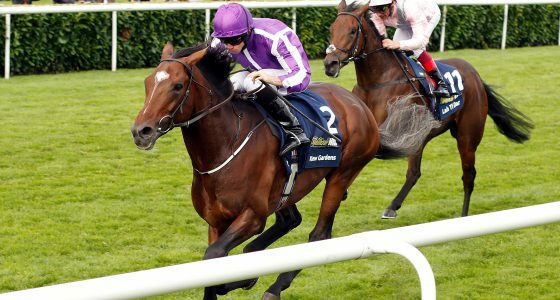 He’s a horse that’s progressed lovely,” O’Brien said of the winner. “We saw what he did in (Ascot) and we were delighted with him in France. He said: “She ran a great race and as Frankie said, that’s the first real race of her life. She’s only ever seen about one horse before today. “She was beaten by a proper horse and a proper Leger horse – a Grand Prix de Paris winner and a Queen’s Vase winner. She’s run an absolute blinder and we’re thrilled with her. “The early pace was a lot slower than we thought it would be. Everyone said ‘oh that’s good, she’ll stay’, and I said ‘actually I’m not sure it’s going to suit her’. “In the end the best horse won – make no mistake – but I like the way she was closing him down late on. She was getting to him and getting to him.